Remember "It's Not Always Mold"
An Indoor Air Quality or Indoor Environmental assessment is much more than an inspection for mold and a lot more than the simple collection of a few air samples for mold spores. The odors you smell in your home are not always mold. Click to read more about Odor Investigations. 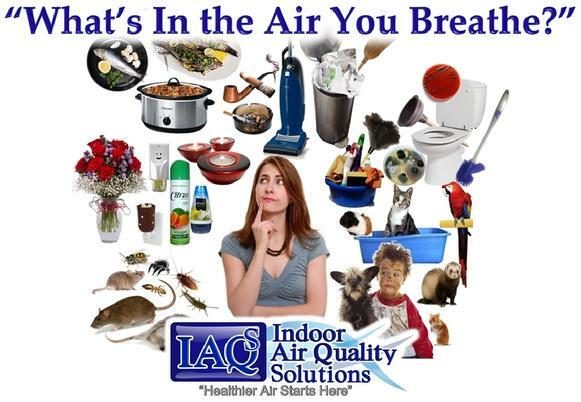 To help identify these contributors that may be compromising your Indoor Air Quality, IAQ Solutions measures the actual performance of your HVAC System both Active (HVAC Running) and Inactive (HVAC Off). The handheld IAQ Assessment tools listed below allow us to identify contributors that may be compromising your indoor air quality on site at the time of our assessment. Collecting a few air samples for mold spores is not an Indoor Air Quality Assessment and sampling the air for mold spores is not an Indoor Air Quality sample. Its an air sample for mold spores. Click to read more about Mold Sampling. Identify Allergens in your home or office. Identify Asthma Triggers in your home or office. Identify the source of unusual Odors or VOC's in your home or office. Identify the possible elevation of Particulate Matter in your home or office. Property owners protect their investment. Doctors find assistance with their diagnosis. Lawyers can show an association between mold and an illness. Real estate brokers can present properties with documented Healthy Indoor Environment. Most Importantly you'll have a Specific Plan of Action to reduce or eliminate the Allergens, or Asthma Trigggers, Mold, VOC's, or Particulate Matter in you home or office. Click to see a what IAQ Solutions IEQ & IAQ Report Contain. Collecting a few air samples for mold spores is not an Indoor Air Quality Assessment. A visual inspection is the most important initial step in identifying a possible indoor contamination problem. The visual inspection is conducted with the aid of the seven principles of healthy homes, Dry, Clean, Pest-Free, Safe, Contaminant-Free, Ventilated, and Maintained. This is an essential part of the IAQ assessment. The ventilation systems should be visually checked, particularly for filter efficiency, filter bi-pass, the storage of materials in the area of the air handler, and the systems overall cleanliness. The use of a boroscope, (fiber optics) to view space inside ductwork. Moisture barriers for proper installation and condensation occurrence via existing wall openings and a fiber optics scope. Remember that collecting a few air samples for mold spores is not an Indoor Air Quality Assessment and sampling the air for mold spores is not an Indoor Air Quality sample. Air sampling for mold should not be part of a routine Indoor Air Quality assessment. The indoor environment can have many more potential contaminants or contributors to compromised indoor air quality than just mold. Unfortunately, many mold inspectors are selling a mold test as an indoor air quality test. A mold sample will never be an indoor air quality test, Never. The typical air sampling for airborne mold will provide you with limited information on the genus of molds collected during the five minute sample period within the room sampled. Mold sampling is not recommended as a method of investigating mold. This is because decisions about appropriate mold remediation strategies can usually be made on the basis of a mold visual inspection. Identify the source of the moisture supporting the mold growth and the extent of the damage. The genus of mold changes nothing about how you remediate the mold or the extent of the mold damage. Mold air Sampling may be necessary if the presence of mold is suspected (e.g., musty odors) but cannot be identified by a visual inspection or bulk sampling (e.g., mold growth behind walls). The purpose of such mold air sampling is to determine the location and/or extent of contamination. Personnel conducting the mold sampling must be trained in proper air sampling methods for microbial contaminants. A laboratory specializing in mycology should be consulted for specific sampling and shipping instructions. Chain of custody is also important. Remember collecting a few air samples for mold spores is not an Indoor Air Quality Assessment and sampling the air for mold spores is not an Indoor Air Quality sample. 1. Carry Certification By The American Council for Accredited Certification (ACAC) as a Certified Indoor Environmental Consultant (CIEC) With Accreditation By The Council for Engineering and Scientific Specialty Boards (CESB). A CIEC is the most respected certification in the field of indoor environmental consulting. 2. Carry Environmental Consultants Professional Liability Insurance with Mold Coverage & Commercial Liability Insurance Including Environmental Liability From Legends Environmental Insurance Services, LLC. the gold standard for firms in the IAQ and Mold industry. 3. Only use American Industrial Hygiene Association (AIHA) Accredited Laboratories. Only laboratories accredited by AIHA have been assessed by AIHA and determined to be in compliance with AIHA Accreditation Policy Modules and ISO/IEC. NACLA recognizes AIHA’s accreditation program as compliant with the ISO/IEC 17011 standard.17025:2005. An Indoor Air Quallity Inspection IS NOT Just about collecting Mold Samples. Your IAQ Consultant MUST be familuar with much more than Just Mold. To view more presentations "click here"
John did a great job for us. His extensive knowledge is evident and he takes pride in not only the task at hand, but in sharing knowledge with his clients. I first met John when Buyers of mine wanted their home tested for absolutely everything in the world! John came in, set up his equipment, and in a very professional way, set up an unbiased testing ground to see if there were any allergens, mold spores, or anything that was dangerous living in the air in the home. John is THE BEST in Orlando! John is extremely professional in all aspects of his field. He provided a great inspection and service for the price quoted and showed up on time.